In April 2010, the “President’s Cancer Panel” issued a report entitled, Reducing Environmental Cancer Risk. The cancer panel report addresses many cancer causing agents, from toxic chemicals, to sunlight, to radon, to ionizing radiation, and yes, to non-ionizing radiation. The report recommends that a precautionary, prevention-oriented approach be taken to replace our current reactionary approach to regulating environmental contaminants in which human harm must generally be proven before action is taken to reduce or eliminate exposure. What can you do to help? The report recommends “self-advocacy.” Each person can become an active voice in his or her community. To a greater extent than many realize, individuals have the power to affect public policy by letting policymakers know that they strongly support environmental cancer research and measures that will reduce or remove from the environment those toxic agents that are known or suspected carcinogens or endocrine-disrupting chemicals. Since the document is not copyrighted (as a government report), several selected quotations from the document will be presented in order to highlight its relevance to radiofrequency (RF) radiation. Think of what follows as the “cliff notes” version of the report. “Weak laws and regulations, inefficient enforcement, regulatory complexity, and fragmented authority allow avoidable exposures to known or suspected cancer-causing and cancer-promoting agents to continue and proliferate in the workplace and the community. Existing regulations, and the exposure assessments on which they are based, are outdated in most cases, and many known or suspected carcinogens are completely unregulated. Enforcement of most existing regulations is poor. In virtually all cases, regulations fail to take multiple exposures and exposure interactions into account. In addition, regulations for workplace environments are focused more on safety than on health. “Even where reference doses and exposure limits have been established, a number of environmental health scientists and advocates believe that some exposure levels deemed safe by regulators are in fact too high. They maintain that exposures far below the reference dose are causing harm and in some cases, inducing cancer development. Moreover, they believe that some agents cause harm at very low doses that is not manifested at higher doses and that regulatory prudence is indicated until potential effects such as these are better understood. Requires incontrovertible evidence of harm before preventive action is taken. Places the burden on the public to show that a given chemical is harmful. Does not consider potential health and environmental impacts when designing new technologies. Taking preventive action in the face of uncertainty. Shifting the burden of proof to proponents of an activity. Exploring a wide range of alternatives to possibly harmful actions. Including public participation in decision making. “Those who support a precautionary approach to the regulation of environmental agents emphasize that while at a specific point in time average individual risk from exposure to one or more carcinogens may be low, health problems due to these exposures may develop over time. When populations exposed to the same carcinogen(s) develop related health problems, the result may be both higher health care costs at the individual level and potentially significant public health issues and societal costs. 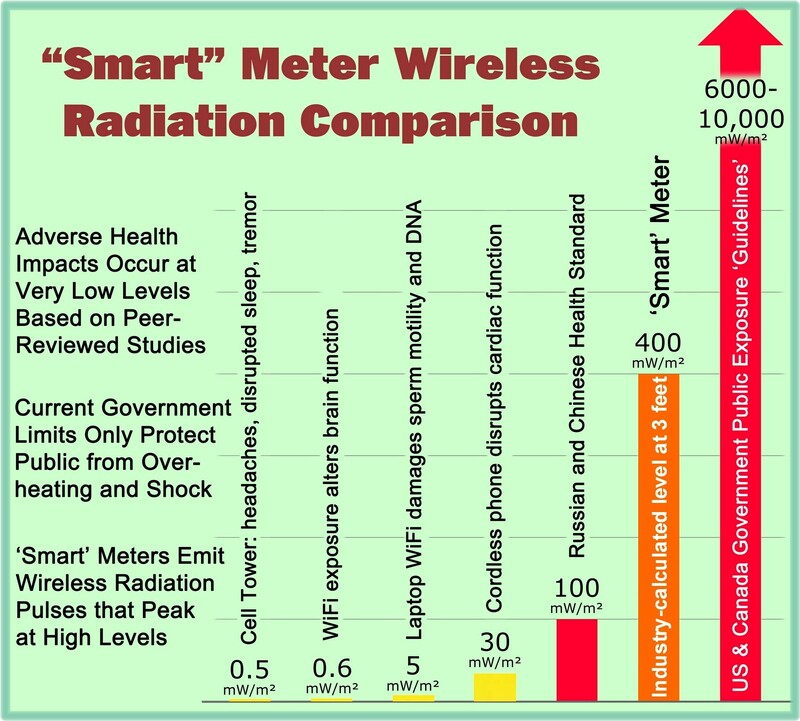 “Considerable disagreement exists within the scientific community regarding potential harm due to RF exposure from cellular phones and other wireless devices, and many of the available studies have been interpreted quite differently by researchers on both sides of the issue. As one speaker noted, data on the long-term use of newer equipment still are relatively sparse, and it may be several years before enough data accumulate to reach informed conclusions about the harm cell phones, cell phone towers, and other wireless devices/networks may cause.